Once my stockpile of paraffin wax began to decline last year, I looked into more sustainable sources of waxes. Buying something made from oil just didn't make much sense anymore. I did some research, and found two different options: waxes derived from natural sources such as soy wax, palm wax and beeswax; or recycling old candles. In this blog post I'll talk about natural waxes, and tomorrow I'll talk about recycling wax. One thing to consider when choosing which wax to use is which type of candles it is best suited to. Each of the readily available natural waxes have different properties, which make them suitable for different uses. Soy wax has a low melting point, which makes it ideal for container candles. 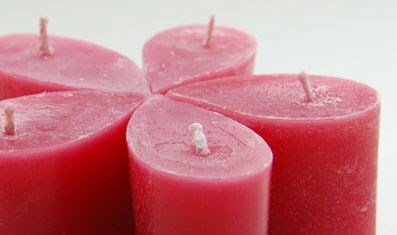 Palm wax has a much higher melting point, so works well for pillar candles, in a similar way to paraffin. Beeswax has it's own distinctive colour and fragrance, so is best used au natural, or blended with other waxes, as it does tend to be more expensive. There are also environmental issues to consider. The supplier I use sources all of their palm wax from members of the Roundtable on Sustainable Palm Oil. This organisation was founded to develop and define best practices for sustainable palm cultivation, and protection of the environment. However, there has been a lot of negative press in New Zealand about de-forestation and habitat destruction due to the cultivation on palm oil crops. So at this point I'm unsure if even sustainably sourced palm wax is something I should be using. 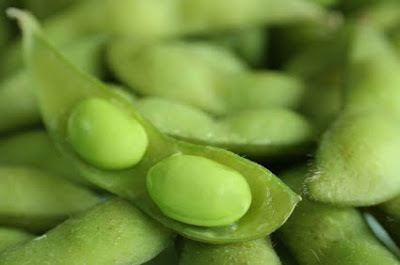 Soy wax has become very popular in recent years, largely due to it's low environmental impact. It is a sustainable resource that doesn't damage the eco-system, and it can be grown fast enough to keep up with the rate of consumption. It seemed like a good option, and meant I could expand my range to include container candles, something I hadn't done before. So I have purchased some soy wax, which I am currently in the process of testing. Once I am happy with the results, hopefully within the next few weeks, I will be launching some new soy wax candles. So watch this space! Tomorrow I'll explain how my candle recycling works, so stay tuned. I welcome any comments you may have about this topic.